A thick blanket of fog engulfed Delhi on Wednesday as the minimum temperature dropped to 4 degrees Celsius and visibility to less than 50 meters. 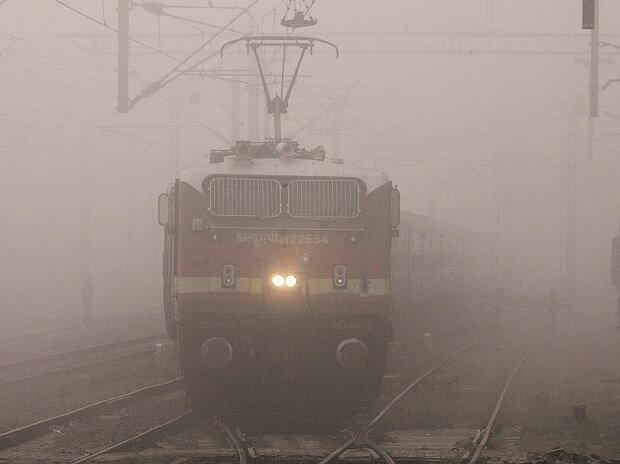 A number of trains and flights were delayed due to fog and poor visibility. The Indian Railways revealed that as many as 11 trains were rescheduled after getting delayed by at least 2 hours. Bhagalpur-Anand Vihar Garib Rath, Jaynagar- New Delhi S. Sainani Express, Manduadih-New Delhi Shiv Ganga Express were delayed by 2 hours each, while Chandigarh Prayag Unchahar Express, Puri-New Delhi Purushottam Express and Mau - Anand Vihar Terminal Express were delayed by 4 hours, 5 hours, and 3 hours, respectively. In the wake of inclement weather conditions, SpiceJet directed passengers to check their flight status before heading to the airport. "Due to expected low visibility at Delhi (DEL), Varanasi (VNS), Bengaluru (BLR), Chennai (MAA) and Amritsar (ATQ), all departures/arrivals and their consequential flights might get affected," read a statement from the airline. Foggy weather accompanied by cold wave has not only disrupted the air and railway traffic but is posing problems for homeless in Delhi. Inadequate nutrition and exposure to chilly winds have forced homeless residing in the region to turn towards night shelters. Speaking to ANI, Pradeep Kumar Tripathi, a resident of Bihar who is currently staying in Ramlila ground night shelter, said: "The cold winds are making it difficult for us to stay outside. We have moved into night shelter now. They are giving us all the meals with additional toilet facility." Due to an unusual increase in the wind speed, the air quality of the national capital significantly improved on Wednesday with air quality index docking at 204 in the morning, which falls in the 'poor' category, System of Air Quality and Weather Forecasting And Research (SAFAR) stated. Till Sunday, the air quality was in the "hazardous" category.